TGIF! As you all know, I am a sucker for a pretty print, so when I saw these palazzo pants, I was sold. Not only are they super cute, but also super comfortable! It feels like I am wearing pj pants! The perfect weekend pants. Finishing up baby classes this weekend and hopefully her nursery. Shared two summer dress looks here and here. One of the best banana bread recipes you will ever make here. Tips for staying active while pregnant here. Have a great weekend and thanks so much for reading! Very cute! 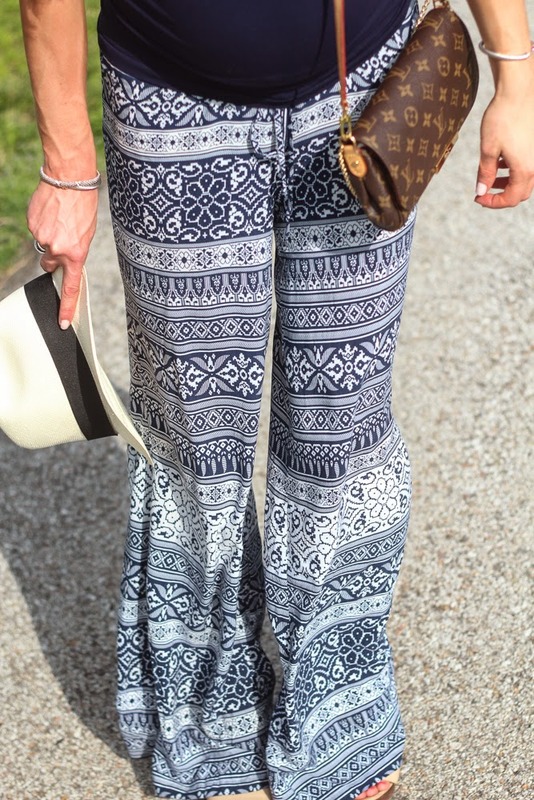 I'm loving the palazzo pant trend and I definitely think they are great as maternity pants! Love your pants, you look so cute. I love those pants, they're so cute, and definitely perfect for maternity pants. Great pants, they definitely look comfy. I am all about the palazzo pants lately! You look great!